Today in music videos: Scott Weiland's nose gets a-chillin' in "Winter Wonderland"
Though the October release of The Most Wonderful Time Of The Year means we’ve all long since overdosed on Christmas spirit, Scott Weiland is already relapsing with a fat bag of pure, uncut jolliness in the form of his new video for “Winter Wonderland.” Of course, as was the case when the album was first announced, some may have doubted such a sight as Scott Weiland—who they say was made out of snow—coming to life and recording a straightforward, Bing Crosby-style record of jaunty Christmas tunes. But looking again at the cover, there must have been some magic in that old silk hat they found, or some heroin. 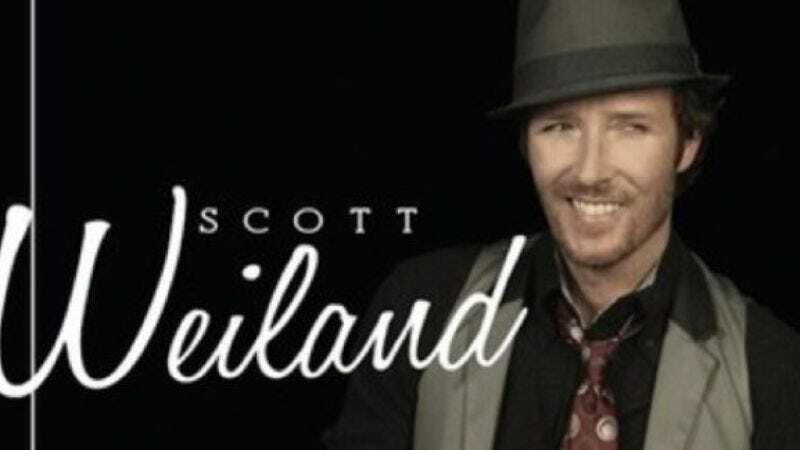 Because like the album itself, Weiland’s video really does hark back nostalgically to a traditional, anesthetized era, when friends in festive sweaters spent chilly evenings warming themselves around the crackle of the ol’ slide projector, and a man’s tie was as narrow and neat as the furrow between his permanently arched eyebrows. Let the season of joy and winking irony begin.